Dr B.R.Ambedkar rejected Aryan Invasion theory (AIT). Only one among our great political leaders saw through the hollowness of the Aryan theory. In his book Who were the Shudras? 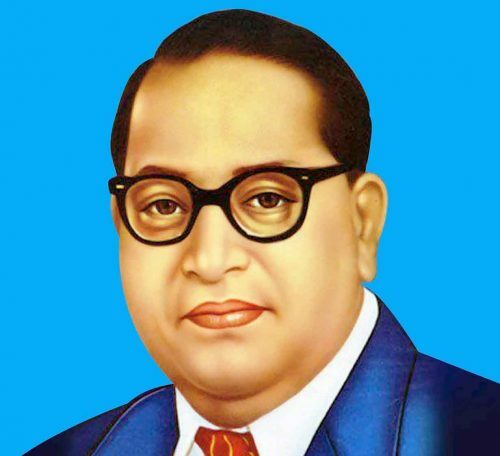 in 1946 B. R. Ambedkar famous for his work on the Indian Constitution, as well as his campaign in support of the Harijans, studied the Vedas. He devoted a complete chapter – Shudras versus Aryans -to an examination of the issue. “The Vedas do not know any such race as the Aryan race. There is no evidence in the Vedas of any invasion of India by the Aryan race and its having conquered the Dasas and Dasyus supposed to be the natives of India. There is no evidence to show that the distinction between Aryans, Dasas and Dasyus was a racial distinction. Ambedkar was aware of the hold of this theory over the masses and scholars alike. He offered a succinct explanation. “The British were visualized as being the last of the invaders in a chain beginning with the Aryans. He could clearly see the implications of such ill-founded hypotheses which colonial Indology imposed on India and which Indian scholars went on repeating ad nauseam. (source: The Invasion That Never Was – By Michel Danino and Sujata Nahar and Dr. Babasaheb Ambedkar Writings and Speeches. Reprint of Pakistan or The Partition of India. Education Department. Government of Maharashtra 1990 Vol. 7 p.302). Refer to chapter on First Indologists and European Imperialism.